Winter Solstice Gathering to Benefit Trafficked Children | Roots and Wings yoga and healing arts, Natick, MA"
"Challenge is our greatest opportunity to gain personal strength and deeper knowledge of ourselves. Only after we have done the work of the Self, can we change anything in the world around us. The world changes, as each of us change." 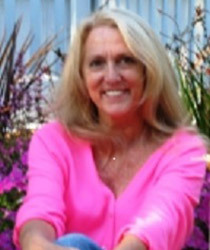 Sandra Corcoran is a shamanic counselor, workshop facilitator & author practicing at Roots & Wings Healing Arts Center. Come offer your collective energy in a group meditation for a collaborative event where all proceeds will go to an organization who assists in the recovery of sexually exploited children. Winter Solstice is a time of the darkest hours moving back to the light of what is present in and for all of us. This auspicious 12/21/12 date is a powerful energetic time to experience what collective intentions can accomplish in our changing world. Join me with your energy & your intentionality in a conscious effort to in some small way help alleviate some of the pain incurred by these children world-wide. To start this evening event you will be introduced to the Toltec 13/9 breathing technique that moves your nervous system from sympathetic to parasympathetic harmonizing the waking and sleep states. We will then do a group meditation for the collective, raising our consciousness through the Andean Mystical art of hucha mikuy--releasing dense energy & collecting sami chasqa, refined energy. Even if you can not make this hour and a half due to your holiday schedule, consider still donating as a way of showing your solidary for a worthy cause. Please contact Sandy Corcoran @ 508-435-2681 or email sandy@starwalkervisions.com .